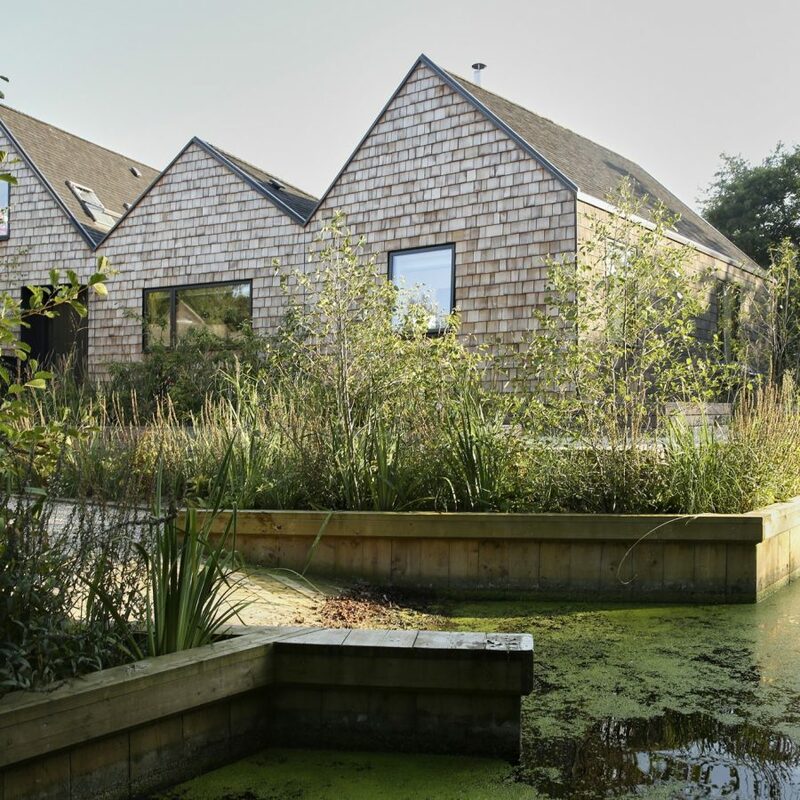 A new detached home designed by Platform 5 Architects replaces an outdated bungalow on a secluded lagoon in the Norfolk broads. 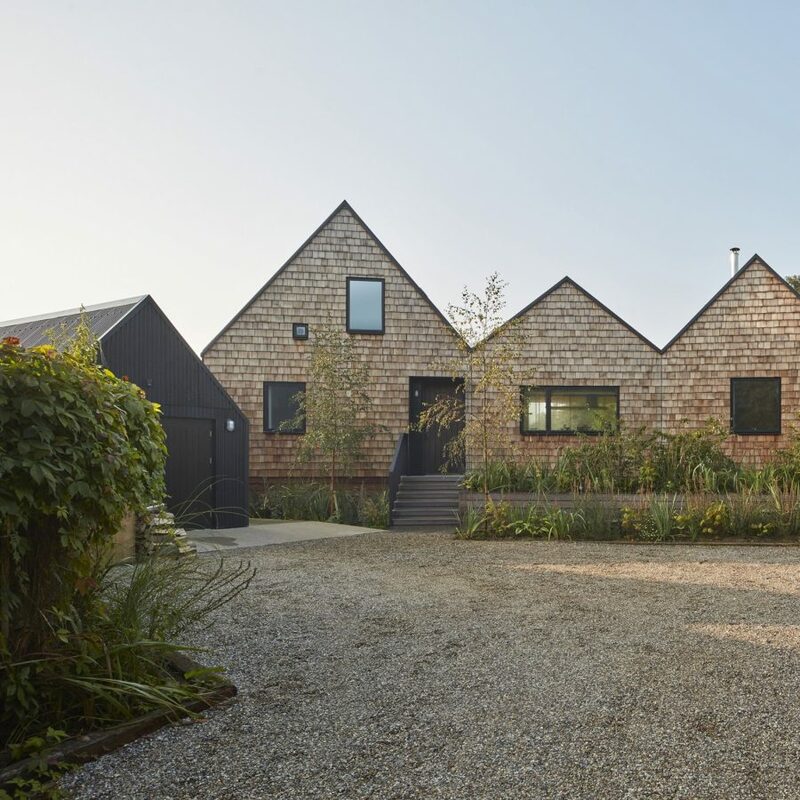 The house is arranged as three low rise bays; whose pitched roofs echo the working boat sheds typically found on the Broads. The contemporary home consists of a series of simple living spaces; orientated to address the waterfront to benefit framed views of the surrounding landscape.